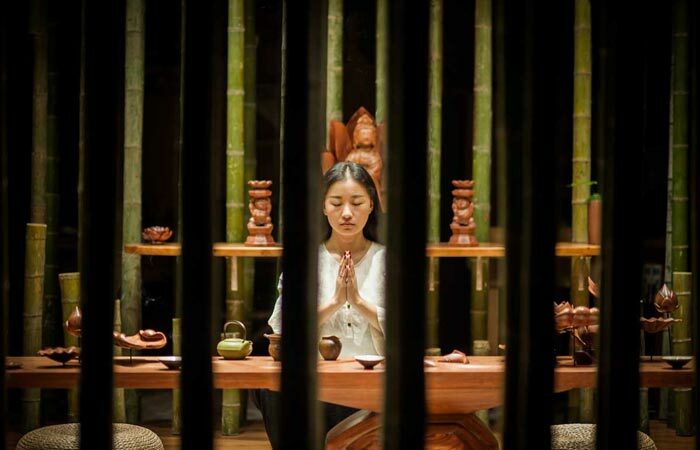 The Chinese tea culture spans thousands of years – four thousand, to be exact. Preparing and consuming tea is a ritual in itself. There are various reasons, apart from the obvious, why the Chinese take their tea seriously. For instance, tea is consumed as an apologetic gesture, to celebrate family gatherings, to show respect, to express thanks to elders on one’s wedding day or to connect large families on wedding days. So, it is only natural that every aspect of tea making and consuming, including a room in which takes place, is carefully thought out. Which brings us to an amazing project designed by a Shanghai-based studio Minax and architect Lu Zhigang called ‘Lotus and Bamboo Tea room’. The project was exhibited at 2014 International Aquilaria Culture Exposition and Living Space Exhibition in China and it is spectacular. 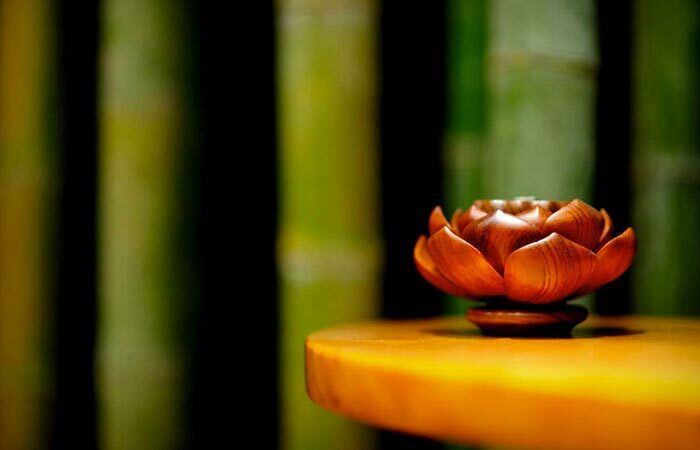 Lotus and Bamboo Tea Room is decorated with 500 pieces of bamboo measuring six centimeters in diameter, all of different length. 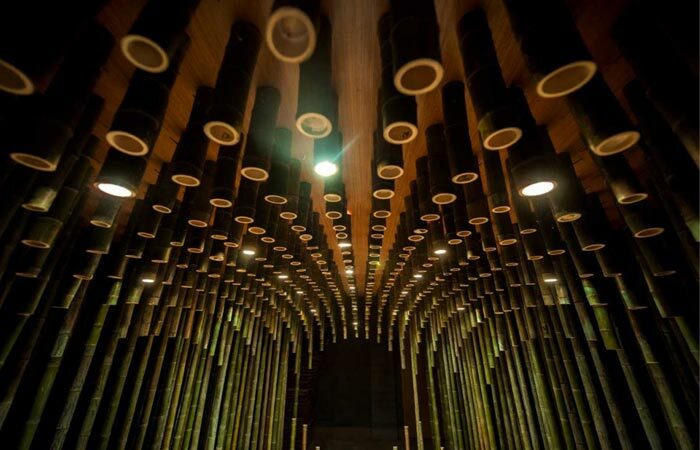 The bamboo pieces are organized in such way that they resemble vertical pipes closely following the ellipse-like shape of the exhibition area. Some of the bamboo tubes have spot lamps creating wonderful optical effects.